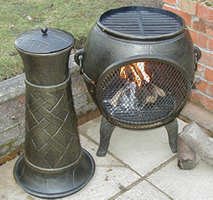 Buy the 53 inch Basketweave Cast iron Chiminea online from the largest range of Cast iron Chimineas in the UK. Just a note to say I've just assembled my extra tall basket weave finish chimnea. The quality is absolutely fantastic. Really heavy and solid. A real quality item. First let me say that do not tend to leave feedback but felt that I had to on this product. 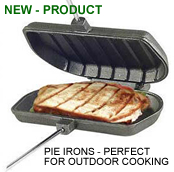 Spent many weeks looking for suitable product and was constantly put off by products claiming to be "cast iron"
But being little more than sheet metal. 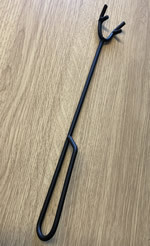 What a surprise when this arrived to find that it is cast iron with subsequent weight to confirm. Anyone looking for good product need look no further. Thank you for a great product and described correctly. The King of chimineas. Perfect for those cool evenings out on the terrace, patio or deck. Our traditional cast iron wood burning Chiminea oven, the Large Basketweave 2in1 cast iron bbq chimineas is one of our most popular. 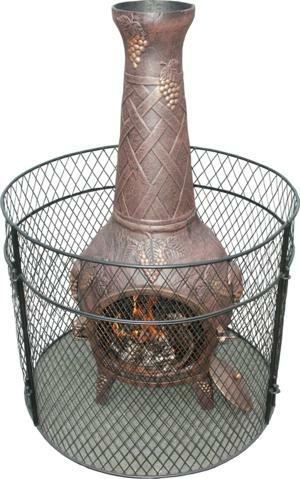 Featuring a decorative basket weave pattern on the chimney and base of the bowl. They stand at 53" tall and have an 22" Maximum diameter. Cooking is simple on the generous diameter 14" grill. Simply lift off the chimney to use for open top cooking. Inside, the fire grate is made of two removable sections allowing for ease of de-ashing via the hole in the bottom of the chiminea, simply lift off its covering plate to empty. Comes complete with matching raincap, fire grate, chimney spark arrestor, heavy duty carrying handles, hinged fire guard door, and bbq grill. This chiminea is extremely robust, having a solid one piece bowl and two piece chimney. Total weight 75kg . Our Deluxe Xtra Large cover is 48" tall and is suitable for our chimnea's from 53" tall, these being the Sienna. the Tampico and the 53" Basket weave chimnea. 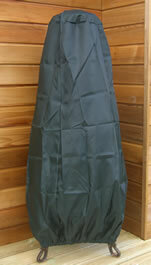 B;ack, water resistant woven polyester fitted chiminea cover with elasticated bottom for simple securing. UV stabilized.